We are a screen printing shop located in Winooski Vermont, offering custom printed t-shirts and other apparel, as well as our own line of unique screen printed gifts. New Duds is a small, family-owned business specializing in custom screen printing on a variety of surfaces, including t-shirts, sweatshirts, tablecloths, hats, glassware, paper posters, and more. 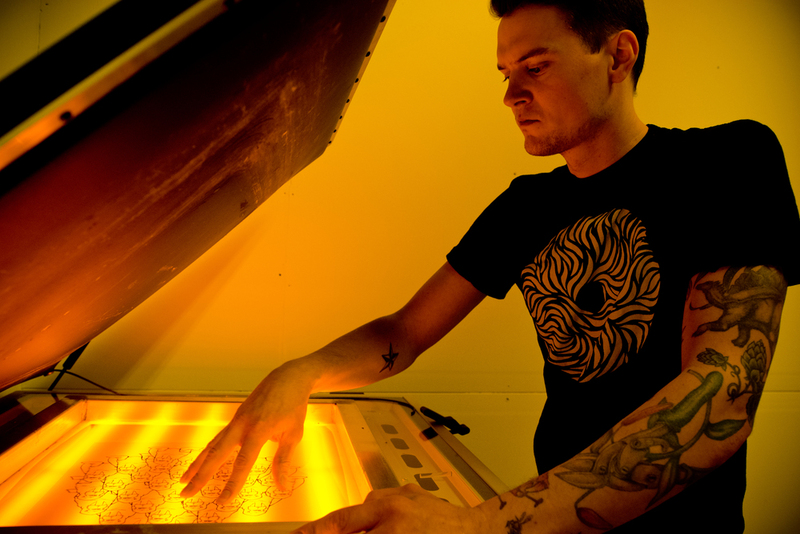 We work with businesses and individuals of all sizes to figure out your unique screen printed project. Contact us with questions and information on your project and we can get you started with a quote. We are all bundled up and printing our winter days away! Get updates and secret information on sales and new items! Privacy is our top concern (next to eating delicious pizza).